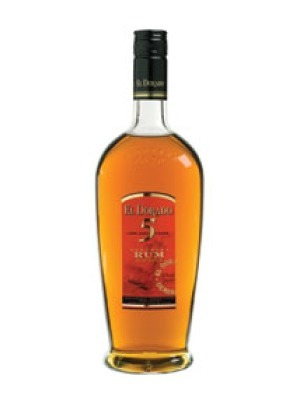 El Dorado 5 Year Old Rum is a popular Rum available from 31dover.com in 70cl to buy online. Visit 31dover.com for the best price for 70cl of El Dorado 5 Year Old Rum or compare prices on our other Rum products. Amber in colour, spirity with a dried tropical fruit bouquet. A vibrant entry leads to an evolving taste of fruit, toffee and toasted coconut fading to vanilla. Remarkably developed and complex for a relatively young rum. Can be enjoyed straight or on the rocks or united. Where to buy El Dorado 5 Year Old Rum ? El Dorado 5 Year Old Rum Supermarkets & Stockists. You can buy El Dorado 5 Year Old Rum online in most retailers and find it in the Rum aisle in supermarkets but we found the best deals online for El Dorado 5 Year Old Rum in 31dover.com, Amazon.co.uk, TheDrinkShop, DrinkSupermarket.com, and others. Compare the current price of El Dorado 5 Year Old Rum in 70cl size in the table of offers below. Simply click on the button to order El Dorado 5 Year Old Rum online now.